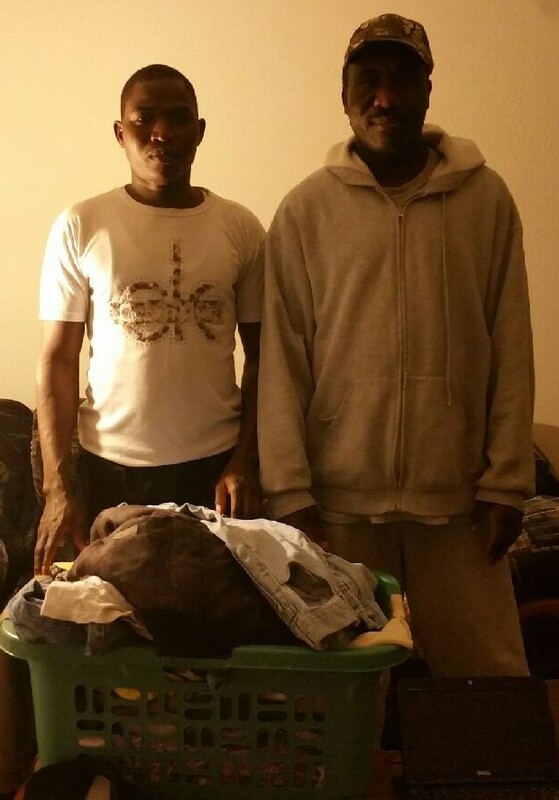 On January 22, 2016 Alhadi, one of our members, gave Zacharia, a Darfuri refugee four t-shirs, four pants, four thermal shirts, a laptop and two pairs of shoes. 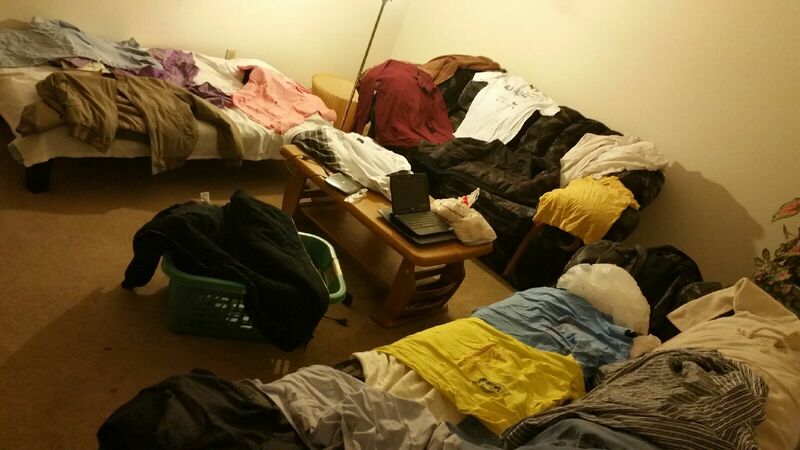 Alhadi maintains DOHS’s clothing supply in Seattle, which is about twice the amount of items in the picture below. Zacharia (L) and Alhadi (R) are in the picture beneath the clothing display picture. DOHS is formed by the Sudanese members to help the vulnerable Sudanese people. The Sudanese people became vulnerable and victimized and violation of the civil war in Sudan be came genocide is on going in 3 areas these are Darfur, South Kordofan and Blue Nile, these areas are immediately needs assistance.